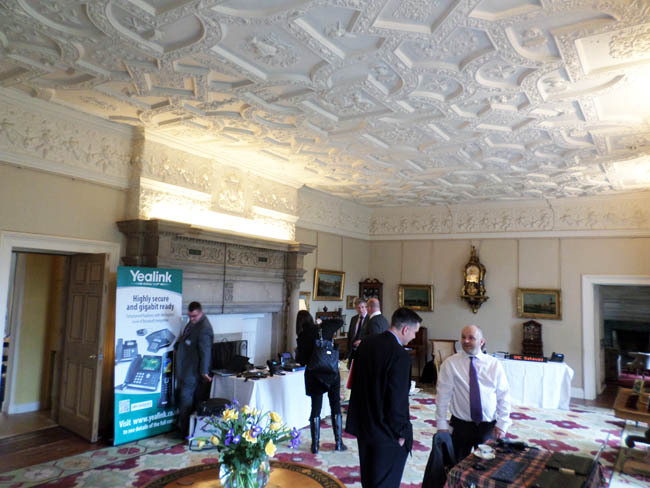 Hytera UK, alongside UK distributor Zycomm Electronics, recently launched a powerful range of professional radio solutions to their Scottish dealer network at Winton House near Edinburgh. The B2B conference and launch event ran over two days. Based in Slough in Berkshire and a subsidiary of China’s number 1 and the world’s number 2 radio terminal manufacturer, Hytera UK distributes their range of analogue, DMR and TETRA radios and solutions to dealers across the UK, Ireland, France, BeNeLux and Scandinavia. Their innovative radios are used by a range of businesses across almost every vertical market including hospitality, retail, manufacturing, utilities, education, oil and gas, transport and public safety. This client story is based on feedback from Daniel Frith, Key Account Manager at Hytera UK, who headed up the dealer event. “The aim of the launch event and conference was to give dealers an opportunity to identify the applications and radio solutions that would be relevant for their customers, the end-users,” said Daniel Frith. “It allows the dealers to focus on their business needs in terms of radio communications and applications. It also gives us the opportunity to provide information to a large group and also develop our relationships with them individually. “We chose Winton House as the venue because it’s in a fantastic location in beautiful East Lothian countryside close to Edinburgh. The conference venue had to have sufficient gravitas to complement the Hytera brand. “Mainly our re-sellers or “dealers”, who re-sell our equipment to the end-users of radio solutions. They are experts in their fields as far as radio communications and radio and IP integration is concerned,” continues Daniel Frith. 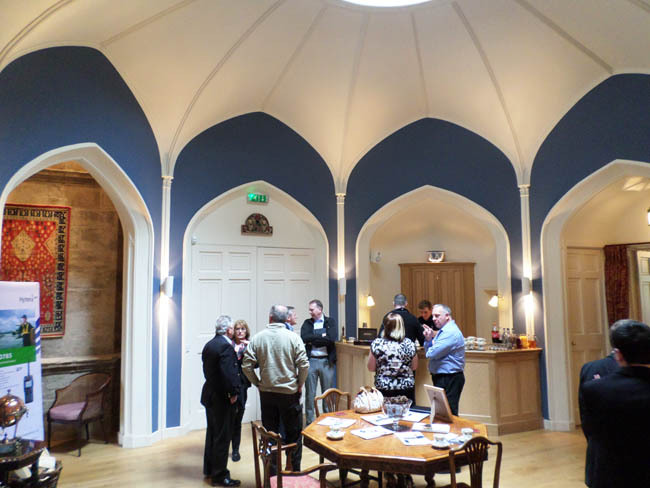 “Teas, coffees and snacks were provided throughout the day, and a buffet lunch was laid on at lunchtime. “James and other members of the event team at Winton House also assisted with set-up and taking down our equipment, banners and more, as well as providing a lot of other hospitality over all 3 days we were here! How well did the conference facilities provided by Winton meet your needs? “We measure the launch event’s success in attendance and positive feedback. Longer term, we will measure it in sales (both direct and through distribution) achieved by our Scottish re-sellers. 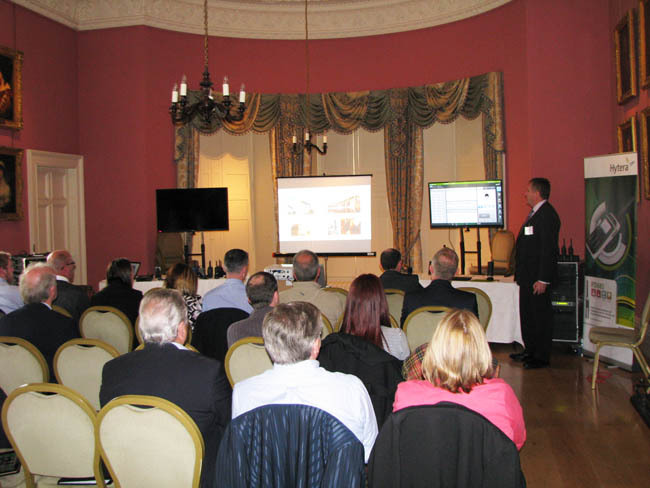 Do you have any ideas or suggestions on how we could improve conferences at Winton House? “Potentially a new projector would be the only suggestion. But I guess this wouldn’t be used often and it wasn’t an issue for us to bring our own.